Elbe, dyke and marsh by bike. 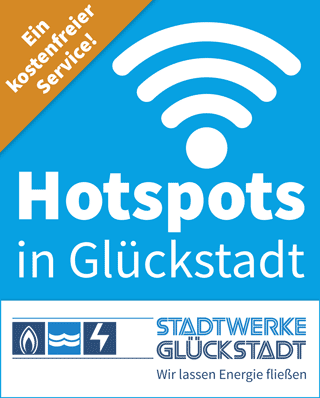 The official Site of Glückstadt’s tourist information informs about all you need to know about the city. 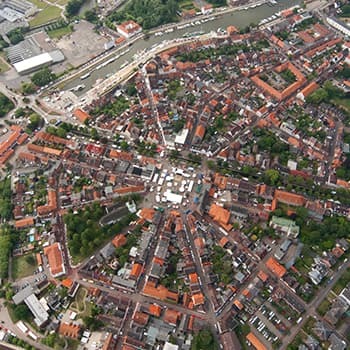 Glückstadt owes its picturesque atmosphere to its unique layout and historic townscape. River branches, tidal gullies and sleepy harbours are the perfect mixture for a relaxed trip on the Elbe. 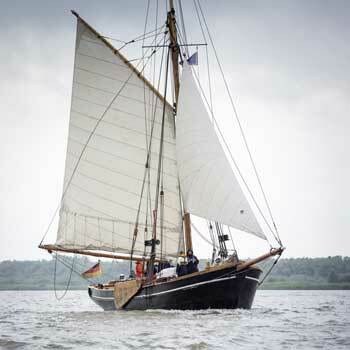 For all sailing enthusiasts, we recommend a sailing tour on the ‘Rigmor von Glückstadt’. 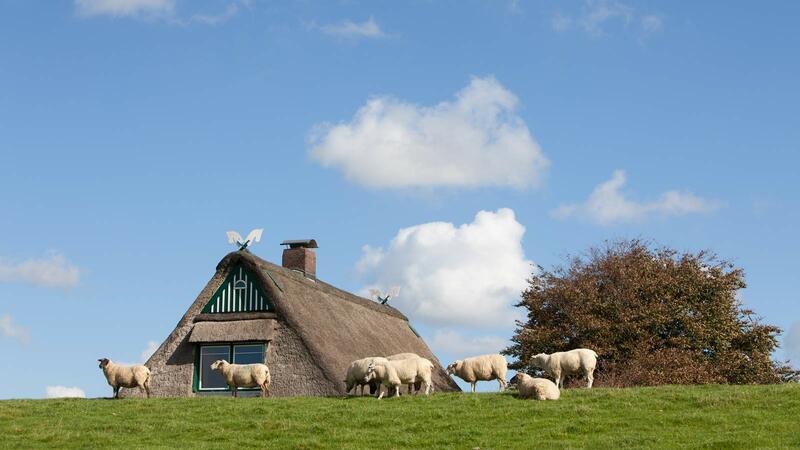 Bicycle paths and Glückstadt go together like sheep on a dyke. 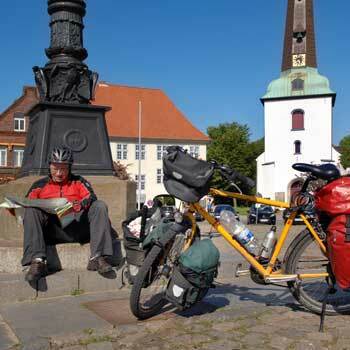 Here, you can ride your bicycle where you like – whether it’s along the Elbe or on the North Sea Cycle Route. 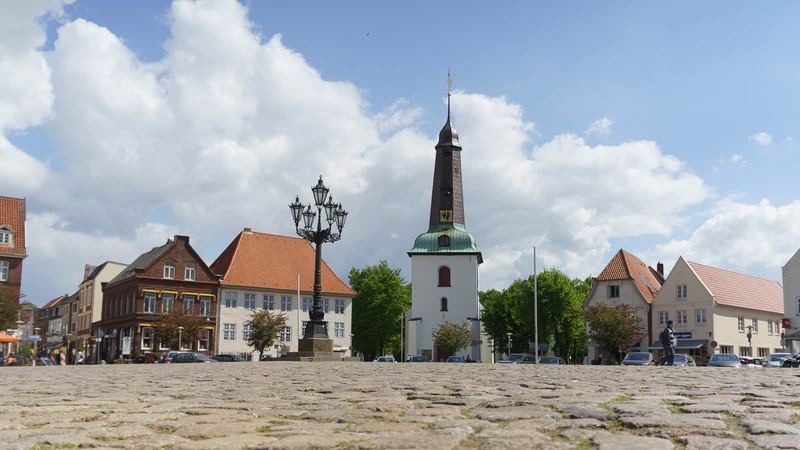 Do you know why maiden are so sought-after in Glückstadt? Because they are both tender and delicious! 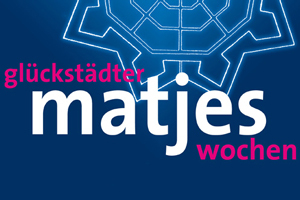 We’re talking of course about our fresh Matjes. 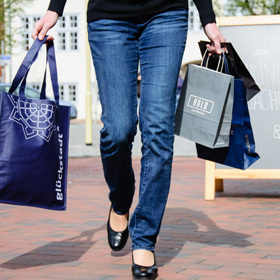 Enjoy a wonderful shopping day in a relaxed atmosphere in the historic town of Glückstadt. 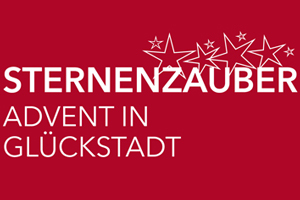 Glückstadt has a vibrant and diverse cultural scene. The town offers a variety of different exhibition spaces, from the Palais für aktuelle Kunst to a number of small galleries. 400 Years ago King Christian IV of Denmark laid the first foundation stone for our lovely town in 1617. He had a dream: to found a town on the Elbe river, that would become a grand and powerful rival to Hamburg..
Several centuries later, the king’s ambitious dreams have resulted in the idyllic little town of Glückstadt. 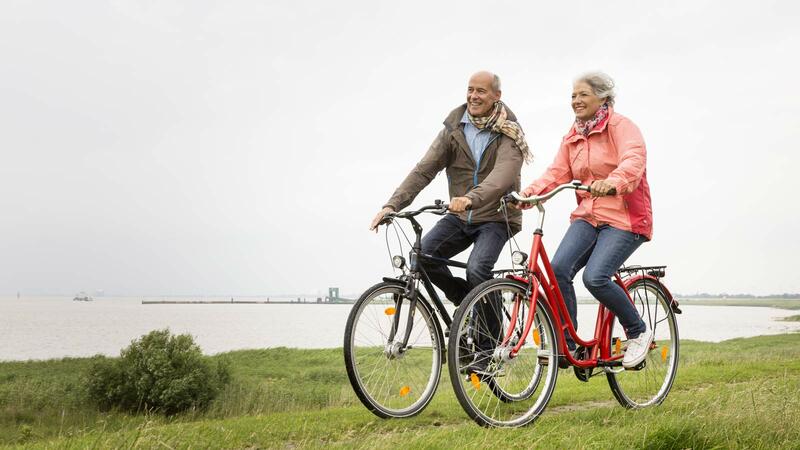 Its picturesque atmosphere, romantic little alleys, historic town centre and location on the Elbe amidst the wondrous marsh landscape of the ‘Elbmarschen’ give a unique character to the historical monument that is the town of Glückstadt. 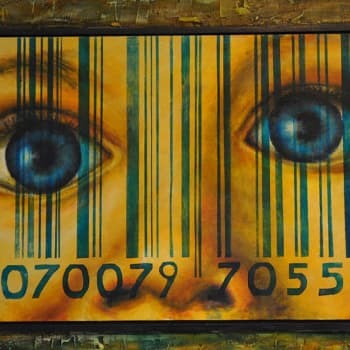 With their regularly changing exhibitions, the town’s numerous art galleries and ateliers, the Detlefsen Museum and the Palais für aktuelle Kunst (Contemporary Art Gallery) form a large part of Glückstadt’s cultural scene. 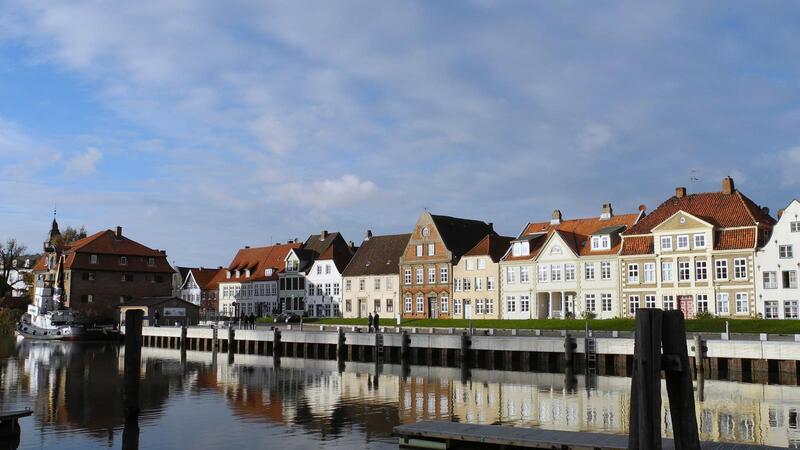 And if you get tired and hungry of all that culture, you can relax in one of Glückstadt’s cosy hotels and restaurants. 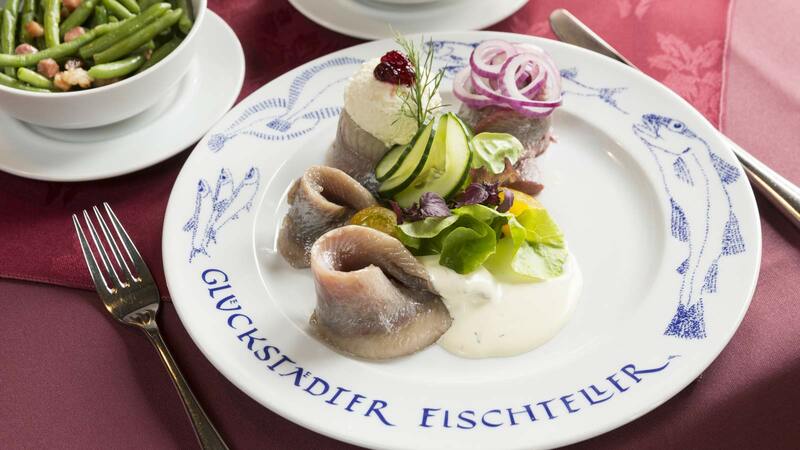 Most of all, you can try the local delicacy: the original Glückstadt Matjes (soused herring). 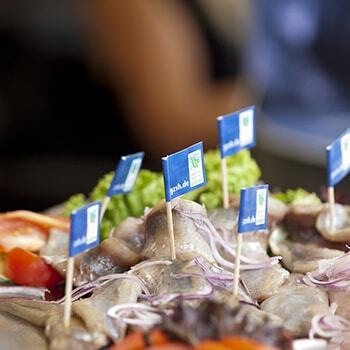 Known far beyond the region, this tasty seafood even has its own annual celebration. The Matjes, however, is not the only maritime feature of Glückstadt: there’s also the charming row of houses along the harbour, as well as the harbour’s new panoramic stairs (a great place to while away the time), the ‘Rigmor’ of Glückstadt (Germany’s oldest sailing ship still in operation) and, last but not least, the breathtaking view from the dyke on the Elbe river. And although the large ships pass us by without a further look, a part of the king’s dream came true – and is visible in Glückstadt every day. Follow us on Facebook or Instagram, to stay informed about new attractions and event highlights.